Install a cylinder warmer onto the storage tank and an ultra-flexible silicone rubber heating tape to the delivery hoses. 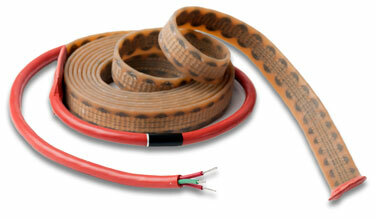 For added protection and efficiency, install heating tape with an insulator onto the delivery hose. The cylinder warmers temperature is self-controlling at 80°F to 100°F (27°C to 38°C). Easily install the warmer by wrapping it around the cylinder and securing with a hook and loop flap. They are “plug-andplay” ready, allowing the warmers to be plugged into a standard power source without special wiring. BriskHeat extra-long silicone rubber heating tapes provide the necessary heat to keep spray foam chemicals at an optimum operating temperature while travelling through the delivery hose. A low-watt density design reduces the risk of damage to the hose. A digital water resistant TC4X temperature controller is used to set the temperature and control the heat output of the heater. 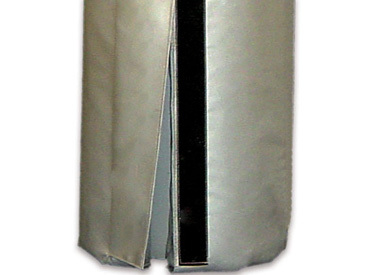 A cloth insulator wrapped around the hose maximizes thermal efficiency and durability of the entire system. 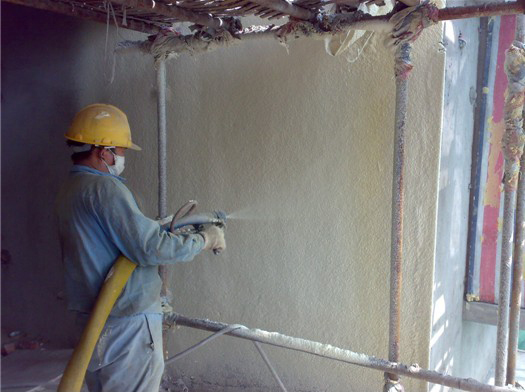 This solution eliminates downtime and extends the service life of spray foam equipment. Custom silicone rubber heating tapes can be used in almost any hose or delivery system where viscosity issues are a concern.